You are currently browsing the category archive for the ‘weir wolf’ category. The new job has been a challenge. The kids are tough and many of them have learning issues and language issues. I keep finding things out about some kids and I have to run around after school trying to meet other teachers to see what I need to do for those kids. I really love what I’m doing, but these kids are tough to teach. Freshmen high schoolers should not be smoking pot at lunch. Aarghh. Anyway. I found some time to build up some new wheels and rebuild some old ones. 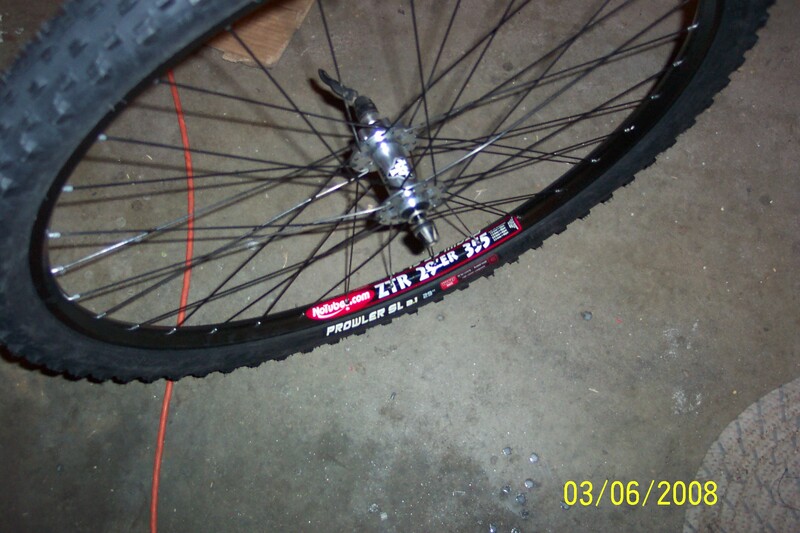 I got some silver WTB LaserLite Disc hubs and laced them up to some new Stan’s 355 rims and laced a new 355 onto an old race hub since I had trashed the rim last season. These Stan’s rims are substantially heavier than the rims I raced on last year. Last year they sat right under 400 g each. They were tough to keep true and they took quite a beating. These rims all weigh just under 430 grams and I’m not complaining. First off they were free. Secondly, they built up much easier so I’m hoping they’ll stay true much longer. Last year I drilled out a set of rims for Jen. 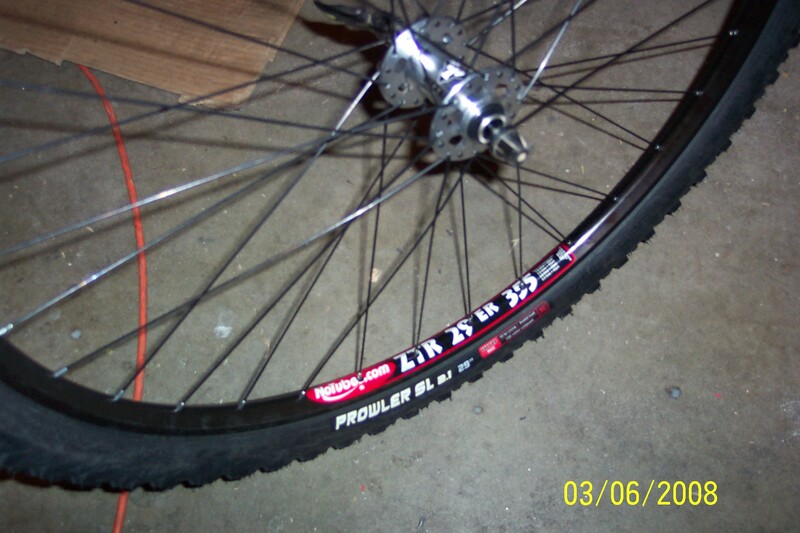 A large hole between each spoke hole only dropped 4 g’s from each rim. So I’m figuring that 30 extra grams in each rim will help keep the rim much straighter throughout the season. Only time will tell. 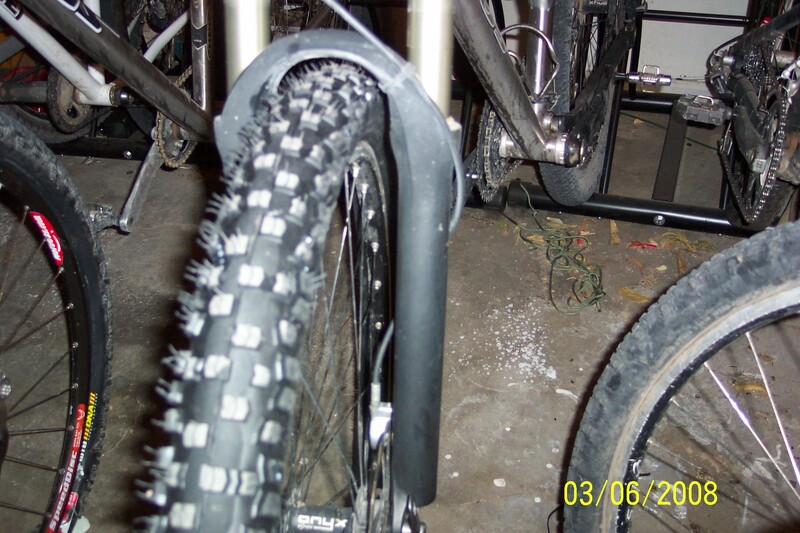 I have a WTB Stout mounted on one of my front wheels…..the Dual Duty rim. It’s pretty big, but not as big as the Weir Wolf. It’s not as noisy as I’d thought it would be on the pavement. I’ve only spun it around the neighborhood and haven’t been able to get it on the trail yet. It’s got some huge knobs. 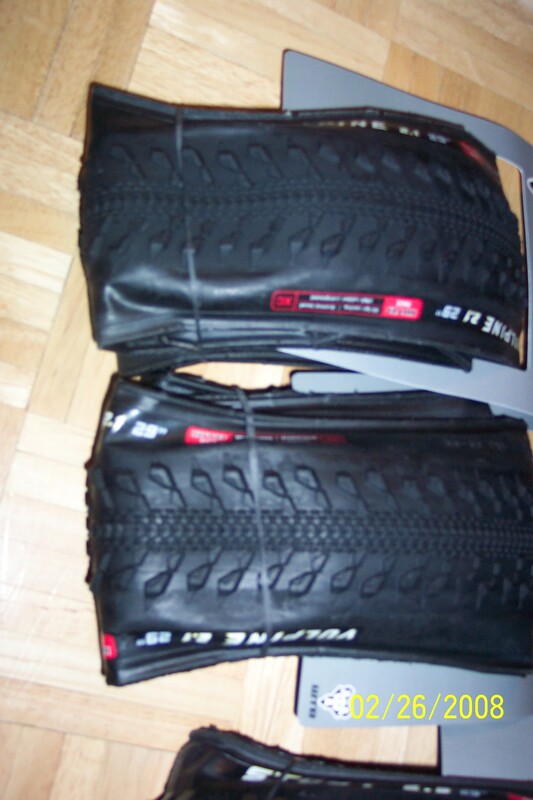 The sidewalls are very light. I’ll get some time on them next week. I’m “pressing” my Stan’s tape right now in my new wheels with a tube’d WTB Prowler. It looks like a sweet tire. It has a great profile and the knobs are just the right size. 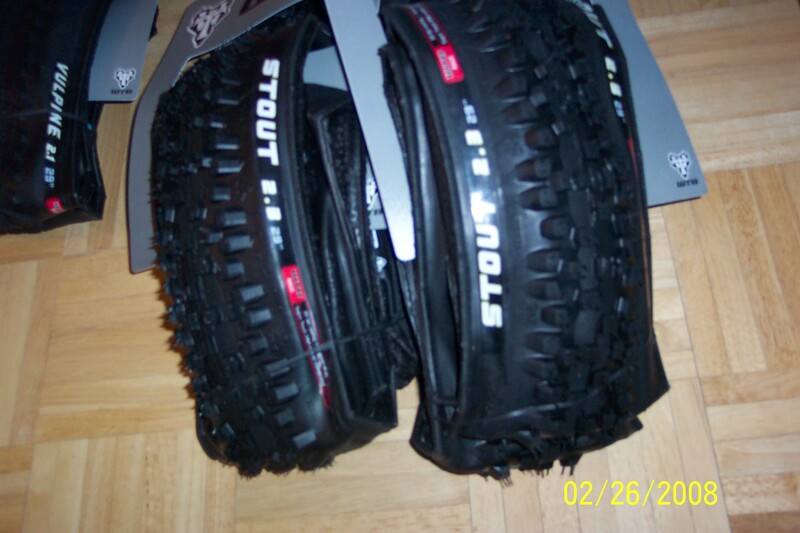 I have a feeling those are going to be the “go to” tires for uncertain conditions….like the Cream Puff. Did I mention I got into the Cream Puff? My first official hundred miler. I have never ridden in Oregon. I’ve ridden in WA, ID, CA, NV, UT, CO, WY, AZ, NM, TX, ID, AR, FL, TN, GA, OH, VT, VA, WV, SC, NC, AL, MS, MN, and CT. How did I miss Oregon? Not sure. I can’t wait to get up there this summer. Hopefully it will be nice and cool. We might work our way over to SD and ND as we’ve never ridden there. NOVA will be a good prep for the summer. 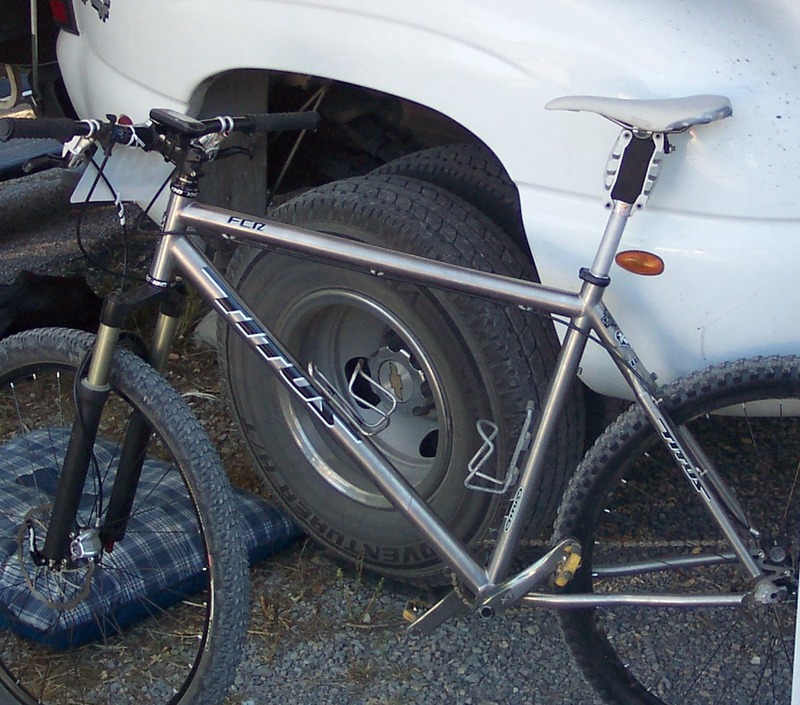 I’m doing the 79 mile marathon on the Racer-X then I’m doing the SS Advanced stage race with the Super D and the XC. That should be a burner for sure. 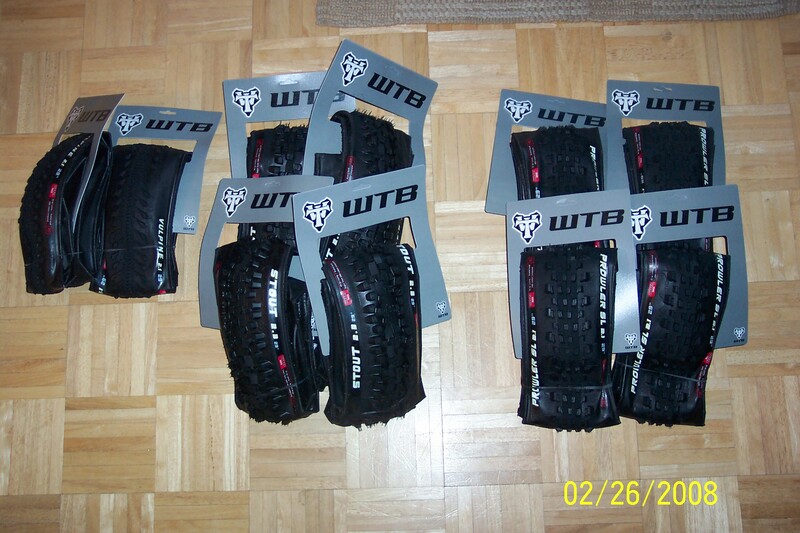 WTB just sent me and Jen a small quiver of tires which should hold us through most of the race season as long as we don’t cut any sidewalls. For training they hooked us up with some Stouts. Ooof. Those bad boys weigh in at almost a full kilo. They are just over 900 g. The knobs are big and fat. I’m interested to see how they’ll do in our rocky terrain. They also sent a couple pair of Prowlers. At first I was skeptical from what I had seen on their website. They just have drawings on the website this year and the Prowler looked really knobby. But they aren’t. The knobs are siped and pretty low profile. They weigh in just over 700. 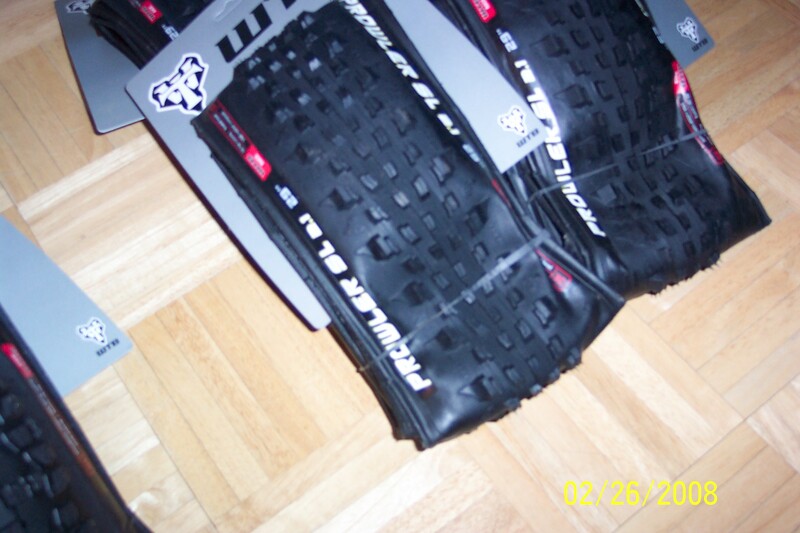 The other tires they sent were the Vulpines. I’m a huge fan of the Nanoraptor, so I wasn’t too sure about the Vulpines headed my way. These babies are light at just under 600 g. The knob pattern will be a fast one for sure, but since they are so low profile I’m going to save them for the marathon at Nova….then I’ll post a report. 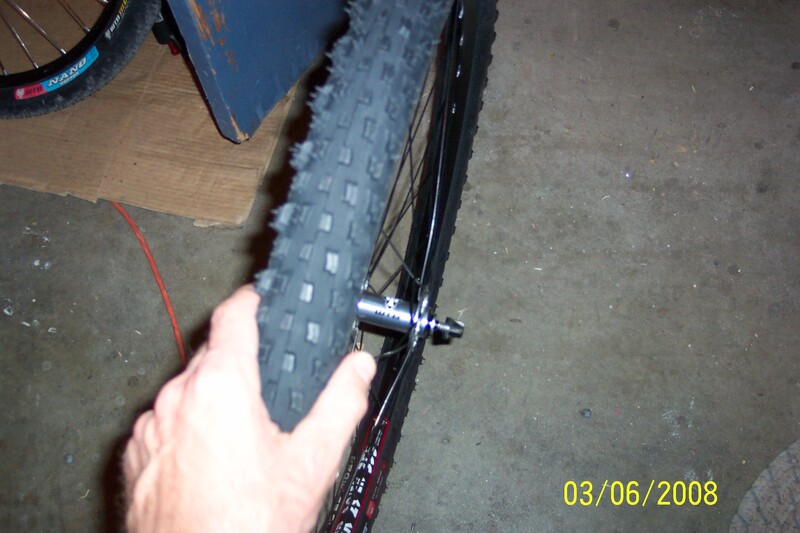 I haven’t mounted any tires yet as I still have decent rubber on my training tires right now. My next race isn’t until March and I’ll be riding the Weir Wolves on the SS on the same course as the Puzzler. Maybe I’ll throw on a pair of the Prowlers. They look killer. Aramid beads and “race” logos on the side. 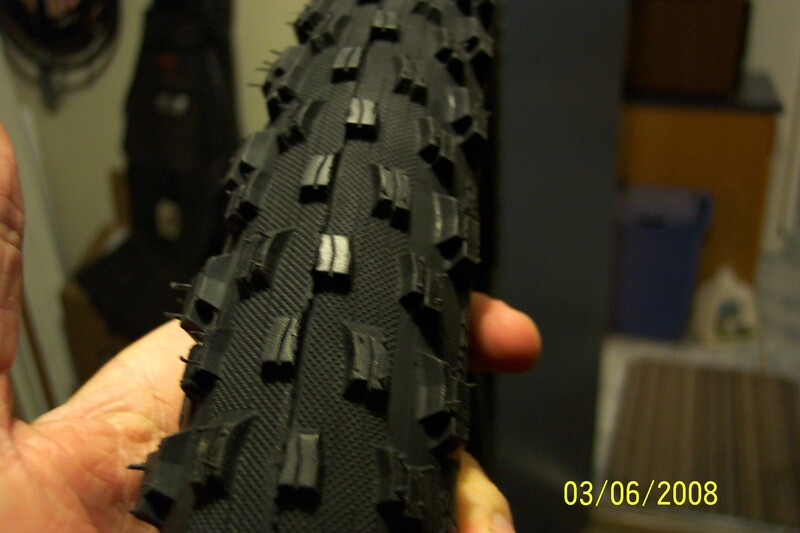 The sidewalls are thin and light and the rubber is sticky. Thanks WTB for the help.